It may well be the case that you have chosen to relocate to a new home in order that you can accommodate the needs of an elderly parent living with you. Perhaps they are no longer able to fully look after themselves yet are still independent enough to live at home with family support as opposed to going into a residential care home and yet your present house might not be large enough or suitably equipped or adapted. Whilst you may, as a family, have had no hesitation in agreeing to have an elderly parent coming to live with you and feel very comfortable about that decision, nevertheless, there will be issues to deal with on both an emotional and practical level. Here are just some of the things you’ll need to take into consideration. There’s a possibility that you’ll have been so consumed with the idea of your elderly parent coming to live with you that you’ve tended to overlook the person’s own needs and feelings themselves. Most elderly people do not look forward to dramatic change and they can feel especially vulnerable if they have to move out of their own home to come and live with your family. It’s important that you recognise this fact and can consider their feelings. Nobody likes to think of themselves as a burden to others, especially the elderly, so it’s important that you offer them reassurance that they will not be getting in the way and that you don’t expect too much in the way of gratitude in return as they are probably going to experience many mixed emotions, especially during the early stages of the relocation. You also need to sit down and discuss how these new arrangements will affect your family when the move takes place. 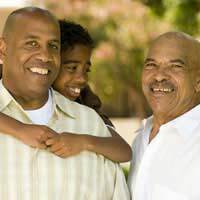 Issues such as how both you, as adults, and your children will still be able to obtain an element of privacy will need to be addressed as well as things such as any additional tasks each family member may need to pitch in with to make the transition for the elderly relative to go as smoothly as possible. You might need to discuss any additional financial implications which may result as well as addressing any external care needs the person may have. On a social level, there may be some impact too depending on the mobility and independence of your elderly parent and whether or not they are going to be able to get out and about on their own or not. You’ll also need to hold a group meeting with them present too so that you can all discuss particular ‘ground rules’ for things like privacy issues, personal space etc. With an elderly parent living alongside you, you may need to make provisions for adapting the home you are all going to be sharing. Things like stair rails, wheelchair access, stair lifts, bath hoists and specially adapted armchairs and beds might need to be considered and, if you have young children, you may need to emphasise the importance of keeping their play items and toys tidy and stored away when not being used in case the elderly relative trips over them. Remember, such a change in your domestic living arrangements is not going to come naturally to either your elderly relative or to you as a family. Tensions will inevitably surface from time to time as you all get used to the new domestic arrangements. However, with a bit of give and take and some compromises on all sides, it can be a rewarding experience and one which many families would choose to opt for as opposed to placing their elderly parent in a care home unless there was absolutely no other option. One excellent consideration is a house with a granny flat. This allow the older relative to live a more or less independent life whilst still being very close to family when needed, and you're able to check up as you please. It takes a lot of the strain without the older person feeling completely dependent, and is, really the family equivalent on sheltered housing, offering all the advantages of living together and none of the disadvantages.